The NSHN Foundation is proud to present Call of the Wild - A night of Robert Service Poetry and Song featuring Vernon Bailey & John McClenaghan on Saturday April 27, 2019 at the Alain Bray Auditorium in Blind River. Admission by cash donation. The proceeds of this event will help purchase a Digital X-ray Suite for the NSHN Blind River Site! The NSHN Foundation is excited to announce a new raffle draw starting February 11, 2019! Travel agency responsible for handling travel arrangement is licensed under the Travel Industry Council of Ontario #50014055 North Star Travel and Tours. Must be at least 18 years of age to purchase a ticket or win. Tickets cannot be purchased in the name of a minor. Ticket must be paid in full to be valid. All valid tickets are eligible for all 18 draws. After each winning ticket is drawn and recorded, it is returned to the drum and is eligible for all subsequent draws. All winners will be notified following the draw by telephone. All trips are subject to certain restrictions and booking requirements. All trips are non-refundable once confirmed. Do you or someone you know require a hospital bed? 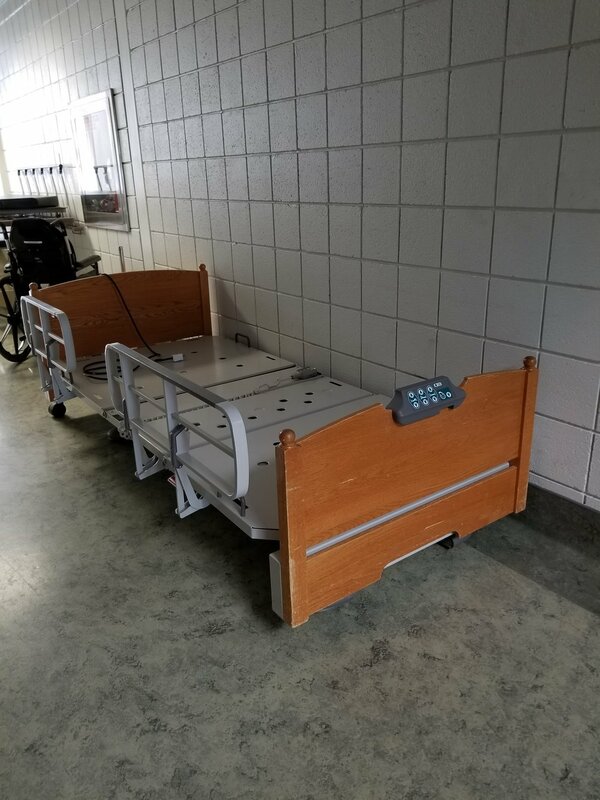 The NSHN Foundation has 6 used hospital beds available to purchase for $100 each. All proceeds go towards purchasing new equipment! The Stryker' beds are High-low, so the head, foot, or entire bed can be raised. They have wooden head & foot boards and electronic controls. They fit a single-sized mattress. They weigh approx. 300 lbs each and can be transported in a half-ton truck or trailer. Pick-up only. For more information, please contact Laurie Kendrick in the Foundation Office at 705-356-2265 ext. 2619. The Foundation hosts and partners with several fundraising events throughout the year. Don't miss out! You can stay up to date by visiting the Foundation's Facebook Page.